The Jimmyriggers are built around the songwriting talents of bass player David Pearce and guitarist Andre Kirchhoff and the colour of maverick guitar slinger Kevin Moquin. The Montreal-based alt-country band counterpoint their full electric sound and powerful rhythms with strong melodic song structures. It is their trademark harmonies, however, that truly lend the band its unique sound, with Pearce’s clenched fist-in-velvet glove vulnerability dovetailing with Kirchhoff’s more honey-dipped tones. Charles Dumont has recently joined the group, providing solid backbeat to the band’s aural landscape. 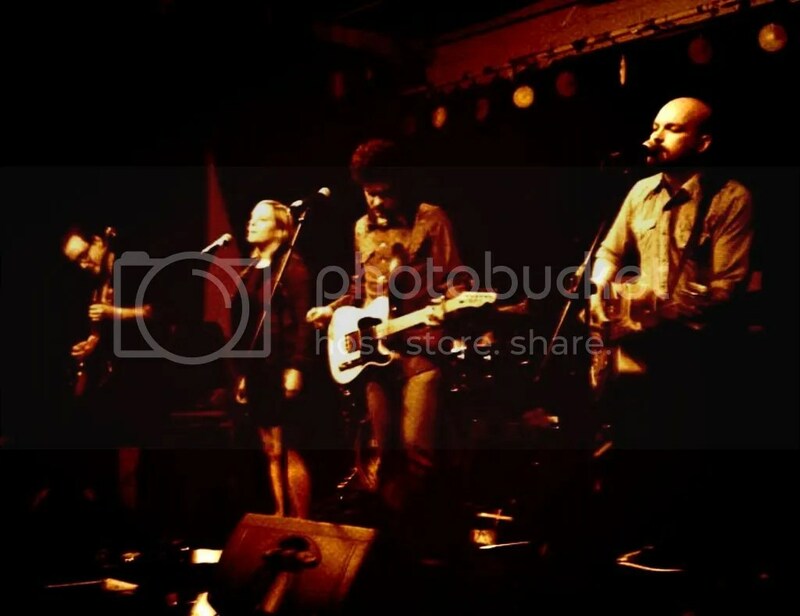 Veterans of Montreal’s roots-rock scene, the Jimmyriggers have appeared at numerous events including the Fringe Festival, the Folk Festival on the Canal, Canadian Music Week, and POP Montreal. Following the release of their album “I Stand in the Weeds”, the group earned the opportunity to open for legendary American rock band CCR. They also appeared at the Fête de St-Lambert opening for renowned Quebecois artist Michel Pagliaro. Not to be confined to Quebec alone, the Jimmyriggers have also taken their music on the road, with successful tours of Ontario, the Maritimes, and northern New York. 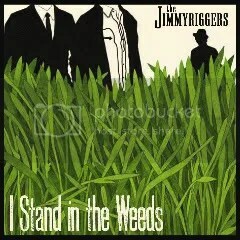 I Stand in the Weeds is the Jimmyriggers’ second full-length release, and the long-awaited follow-up to their gritty roots-rock debut, Traveling Salesman, Killer on the Run…. Delving deeper into the band’s roots influences, I Stand in the Weeds takes the listener on a rich and varied journey through the fields, valleys, and back alleys of a half-century of Americana. Twang and jangle pop-rock numbers rub shoulders with funereal country ballads while reverb-drenched folk-rock noir gives way to a skid-row Salvation Army choir. I Stand in the Weeds was recorded at Montreal’s Fast Forward Studios and in the band’s own rehearsal space with the guidance of producer and multi-instrumentalist Mark Goodwin, veteran rock drummer R.D. Harris, as well as stalwart session men Rick Haworth and Eric LeMoyne. The twelve original tracks on the album present songs immersed in self-reflection with an optimism and hope faintly present below the surface. With the inclusion of a Flying Burrito Brothers-esque take on the Rolling Stones’ “Connection”, the Jimmyriggers have crafted an album of raw emotional power that flows seamlessly between rock and country, light and dark, despair and redemption. 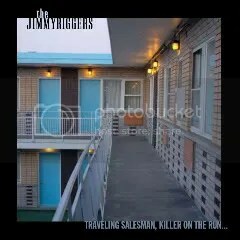 From the opening burst of electric guitar on “Dropout Theory”, The Jimmyriggers’ debut album Traveling Salesman, Killer on the Run… announces itself as something of a stylistic anomaly. With a nod to both the hard-edged twang and the sweeter pop-inflected aspects of alt-country, as well as the nostalgia of early 90’s Can-con rock radio, this album delivers a blend of rock and roots with a direct, no frills attitude. Recorded in Montreal at the Sound Module with producer/engineer Fern Bouie, Traveling Salesman, Killer on the Run…captures the band’s live sound with only a few touches of acoustic guitar sprinkled in for good measure. The varied 11 song collection touches on such diverse subjects as love, suicide, day-job cynicism, and road tales of both dissipation and redemption, all without sacrificing pop sensibility. With equal doses of eclectic sophistication and ear-ringing, night-out-at-the-bar rawness, this debut delivers a potent blend that will appeal to rock and roots fans alike.